"Hi Jeff and Lyn, I took a part-time, contract at the University, just to keep me solvent but it's actually turned out to be very satisfying so far - halfway in - and may become a permanent role. Completely different from before; very little project planning. Still plenty of process improvement stuff that can be done though which I enjoy. Other than that it's giving me time to focus on other things like yoga and traveling. Am off to Japan later this month. I often think back to our sessions and am grateful for the time you spent discussing things and challenging me. It's been as helpful outside of work as in." "I have known Lyn for a number of years. She is without a doubt a very caring person, who genuinely wants the best for her clients. 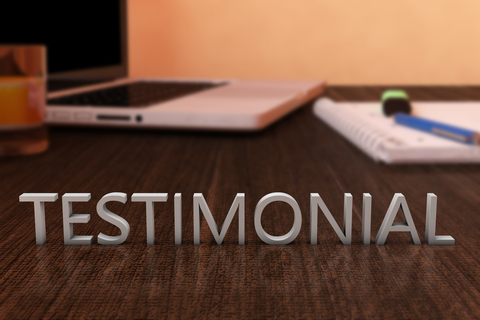 What strikes me about Lyn is her listening skills and ability to empathise with clients. She has a wealth of experience to share and is really humble in sharing her opinions, views in a friendly way. Highly recommended - there are few career guidance specialists like Lyn around!" "Part of the first step in healing myself and trying to rebuild our lives was coming to see you and Jeff and getting help from you. You guys have helped us, and me in particular, more than you know. By doing the personality assessment you have confirmed what I knew about my underlying character, but by going the extra steps to assess my career goals and motivation and identify potential job roles, it finally became clear what I have always wanted out of my working life and how that effects me..."
"I now feel I can confidently manage. I will also get paid what I deserve, and have some great career opportunities in front of me"
"I was Chief Executive of a national charity and felt I needed external support and mentoring for my complex role. I initially met with 4 other coaches before making my decision on which coach to use. Jeff immediately stood out as being down to earth but very confident in his subject and with obvious ability to support and challenge senior role holders. From my first visit to Change Key I was made very welcome by all the staff and immediately felt comfortable and at ease. The sessions with Jeff were far from easy however, he was very challenging and encouraged me to take responsibility for my own behaviour and decisions but I knew he always had my best interests at heart. I was so impressed I encouraged other members of my senior team to take advantage of his services. After I left that role I continued to stay in touch with Jeff and he was always at the end of a phone if I needed to talk an issue through with him. He supported me through a very difficult patch in my career, sometimes I am not sure I would have got through it with such a positive outcome without his support. The professional and confidential nature of the service and aftercare offered by Jeff and his colleagues is exemplary and I would have no hesitation in recommending him as an Executive Coach. One thing I can say for sure I am a better senior manager today than I was before I had the benefit of Jeff's insight and support and came into contact with Change Key Partnership".